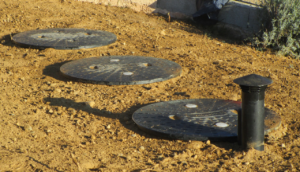 When installing a new septic tank or domestic sewage treatment plant as part of a new build project or as part of a septic tank upgrade, the cost of the sewage treatment plant installation is a very important consideration. Here we will discuss domestic sewage treatment plant installation cost considerations. A major item that needs to be purchased as part of any domestic wastewater treatment plant installation is the sewage treatment plant. As with any product, there are always a large variety of systems available on the market with a range of prices. When completing a domestic sewage treatment plant installation cost estimation, it is important to decide if your main driving factor is sewage treatment plant cost or sewage treatment plant quality. If the sewage treatment plant cost is the main factor due to budget limitations, then you need to make sure you find a low-cost sewage treatment plant. But you must not compromise on quality. 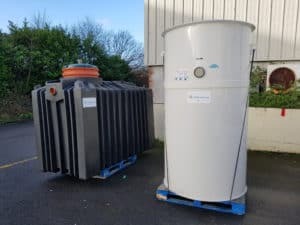 Take a look at our best domestic sewage treatment plants to help you choose the right model for you. But if budget is your main consideration, the Biocell Bioclean is your ONLY choice. This wastewater treatment system uses a very simple and reliable technology that will guarantee you trouble free sewage treatment. But the Biocell Bioclean has a sale price of approximately £250/ €350 less than any other sewage treatment plant. So, when looking at septic tank costs or sewage treatment plant costs. The Biocell Bioclean will save you money on your domestic sewage treatment plant installation. The Biocell Bioclean is also fully certified to EN12566-3. If budget is not your primary concern and you want a sewage treatment system with the best effluent quality and lowest running costs on the market, then your only choice is the Biocell QuickOne. The Biocell QuickOne is a high-quality sewage treatment plant. It has the highest effluent quality of any wastewater treatment plant on the market, but it also has the lowest running costs. This is independently verified. The Biocell QuickOne is also a competitively priced sewage treatment plant. When compared to other plants with similar running costs and effluent quality it is up to £500/ €700 cheaper. So, when doing your sewage treatment plant installation cost estimate, plan to install a Biocell QuickOne or a Biocell Bioclean to save money on your sewage treatment plant installation. After you have purchased your sewage treatment plant, the next step is to install the plant. All Biocell sewage treatment plants are designed to save you money on your domestic sewage treatment plant installation cost. Biocell sewage treatment plants are all low-profile sewage treatment plants with a shallow dig tank. This means that you can install a Biocell sewage treatment plant with a mini digger. Many systems require large diggers for deeper excavations, which costs you more. So, it’s simple. To save money on your domestic sewage treatment plant installation cost, Biocell Water is the only choice. Contact us for an instant quote today. Hi Janice, without knowing the exact details it’s difficult for us to say whether or not an estimate is correct. We would recommend cross checking with another retailer in or near your location. Please provide a budget for a system that will support a medium sized single family residence. Looking at 3 bathrooms plus normal kitchen and laundry for two residents. Hi Mark, thanks for your request. Can you email your exact project requirements to sales@biocellwater.com including planning reference no. and the county council to which it was lodged, that way we can provide an accurate quotation. Kind Regards, James. We are planning to build an Ice arena outside of the city limits. would you be interested to provide us a quot. Hi Boris, thanks for your query. In order for us to give you a suitable quotation could you forward the details of your project to sales@biocellwater.com? I am interested developing 25 acres outside city limits and public water and sewer. Would like to put in 50-100 1 or 2 bedroom cabins for rentals etc. What would a system to handle that kind of sewage cost? Hi Daniel, thanks for your question. In order for us to give you the an accurate quotation could you forward your exact project particulars to sales@biocellwater.com. Regards, James.